7 Ways To Style Your Leggings For A Not-So-Basic Look! What is the one thing that almost every girl has in her closet? You’ve guessed it - it’s the good ol’ leggings! Come summer or winter, we find ourselves never getting enough of leggings...and for good reason! This versatile piece of clothing can provide a solution to all your outfit dilemmas. They’re super comfy and hug you like second skin without suffocating your legs. Team POPxo shows you how they like to style their leggings! Caroline D’Cruz, Assistant Editor Playing with layers and different hemlines is every fashionista’s secret to setting trends. Caroline does exactly that and wears her opaque leggings under a skirt and an oversized cardigan. 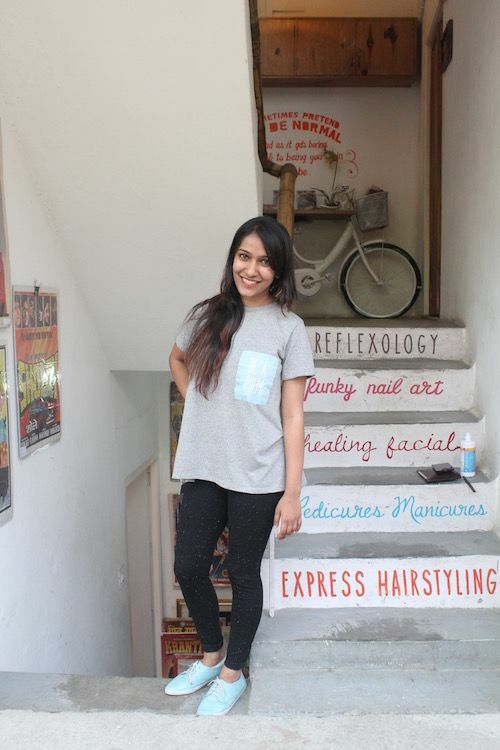 Her tan brogues seal the deal and make her look effortlessly chic! Also read: The MOST Stylish Sunglasses? Team POPxo Reveals Their Favs! Pradipta Sarkar, Associate Editor Leggings come in a variety of different and delicious colours, so why just stick to black? Go for vibrant hues that work so well with Indian wear as well. 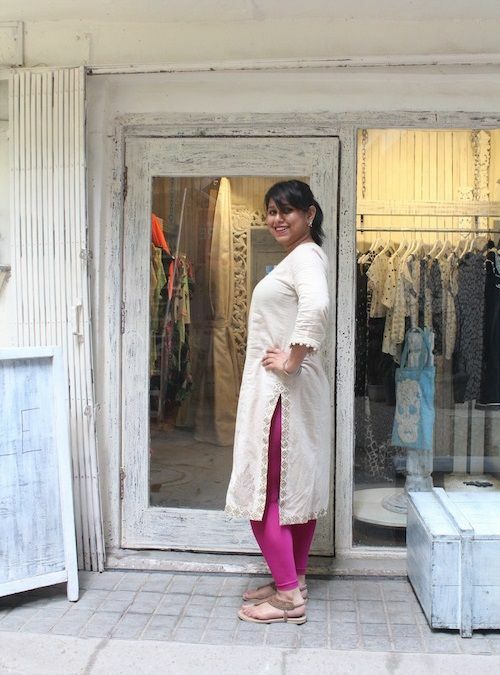 Pradipta brings her beige kurta to life by pairing it with bright magenta leggings. Ain’t nobody got time for a dull day, right? 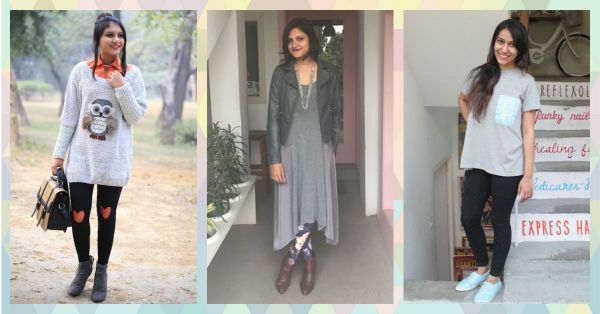 Also read: How To Style Indian Wear To Work: Top Tips From Team POPxo! 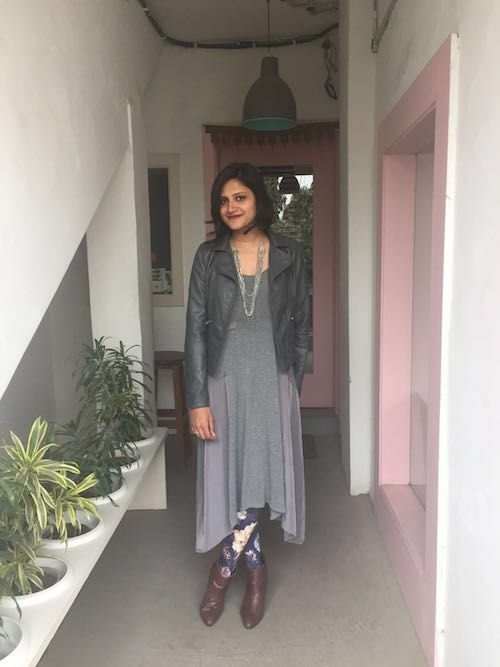 Kritika Rathi, Fashion Writer If you live in a place that’s cold most of the time, then don’t worry about not getting to wear your pretty dresses. Take cue from Kritika and pair your long dress with printed leggings. Make sure your dress has no prints and play up the details of the fabric. Also read: How To Style A Black Leather Jacket For EVERY Occasion! Cherry Jain,Video Coordinator Nope, the leggings didn’t come this way! Cherry gives you some major inspiration on how to modify your old leggings and turn them into something really wacky and trendy. Pair it with the coziest oversized cardigan and flat boots. Now pass those scissors, will you? Also read: Super Cute Ways To Style Your Leggings! 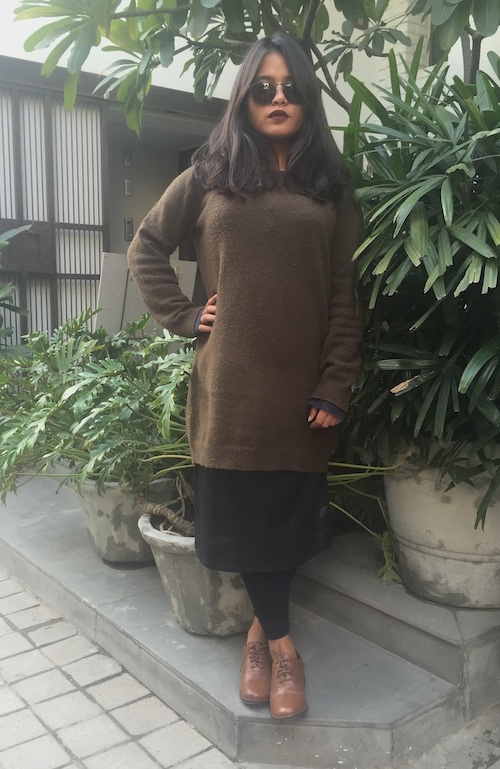 Manasvini Paul, Editorial Intern We all have those days when we want to wear black head to toe. 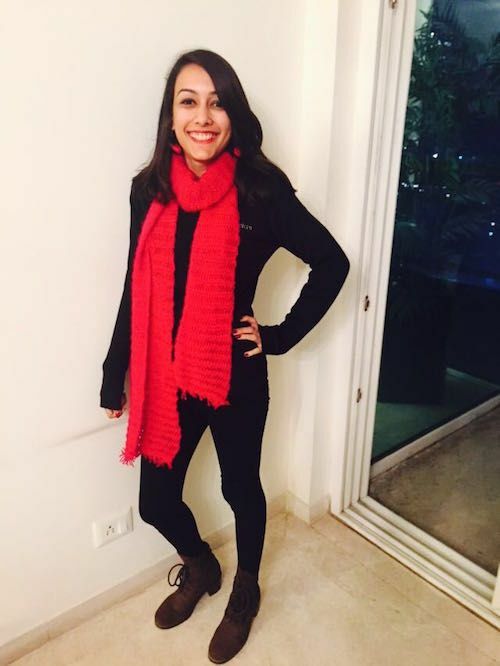 Manasvini channels the Catwoman look, but keeps it vibrant by wearing a gorgeous red muffler! Also read: How To Look Fab Even If You Feel Like You Have Nothing To Wear! HAVE A STORY IDEA FOR POPxo? If you want to hear about it, we can write about it! Just tell us your idea here! MUST-READ: 8 Simple Ways To Style That White Shirt To Look Amazing! MUST-READ: What Are The BEST Jeans Brands? Team POPxo Reveals Their Favs!